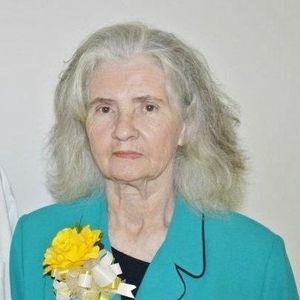 Margaret Helen Edwards Bryan, 80, of Bladenboro passed away Sunday, January 27, 2019. She was preceded in death by her parents: Miles Edwards and Maybell Hester Edwards, husband J. P. Bryan, one son: Eric Bryan, one granddaughter: Melissa Carlton, one grandson: Robert Cain and one brother: Jimmy Edwards. Margaret leaves behind four sons: Johnny Bryan, Lindlin Bryan (Lisa), Matthew Bryan, all of Bladenboro and Joseph Bryan (Crystal) of Fairmont; one daughter Margie B. Cain ( James Byrd) of Bladenboro; one brother: Freddie Edwards (Rosalie) of Bladenboro; four sisters: Hilda Bordeaux of Dublin, Wilma Storms, Elizabeth Ann Packer (Kent), Sylvia Batten, all of Bladenboro; seven grandchildren and 11 great grandchildren. The family will receive friends from 1-2 pm on Wednesday, January 30, 2019 at Bladen Gaskins Funeral Home in Elizabethtown followed by a 2 pm funeral service with Rev. James Nobles and Rev. Larry Greenwood officiating. The burial will be private. At other times, the family will receive friends at the home of Margie Cain, 745 Sunset Park Rd, Bladenboro, NC 28320. Add your thoughts, prayers or a condolence to Margaret's guestbook.